Like a lot of kids, however much my son enjoys a toy version of an adult tool – the grown up ones are always WAY more interesting! 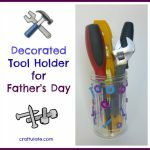 He has a work bench, tool kit and some toy drill kits and puzzles. But he is often trying to help his Daddy in the workshop and he usually isn’t old enough to really help. 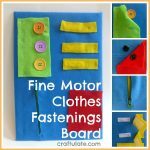 By my husband often finds him something to do so that he thinks he’s helping, and that’s how this activity board came about! I sorted through and found 6 sets of matching nuts and bolts in different sizes. I also acquired a spare piece of wood from the workshop! 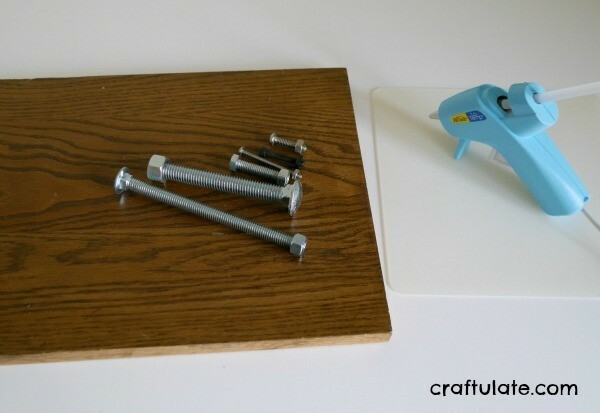 I used a hot glue gun to adhere the end of each bolt to the board. After it had dried, I removed all the nuts and handed it over to my son! 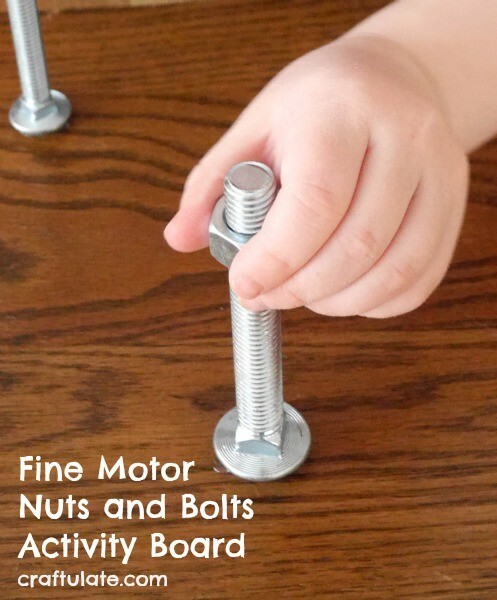 He had lots of fun deliberately choosing the wrong nut for the bolt – either it wouldn’t fit or would just slide straight down. But soon he actually got working on one of the bolts. He was attracted by the super long ones but they took a LOT of turning to get the nuts all the way to the bottom! He completed the board in good time but it was a great activity for him – and certainly bought me some time to get other jobs done! 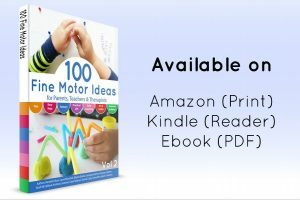 Are you looking for more Fine Motor ideas? 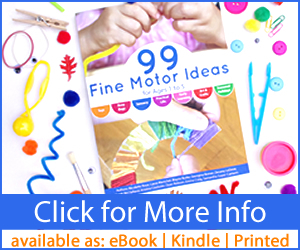 Check out these new projects and activities from the Fine Motor Fridays team!